The skin remains healthy and soft, is optimally moisturised and looks beautifully smooth. 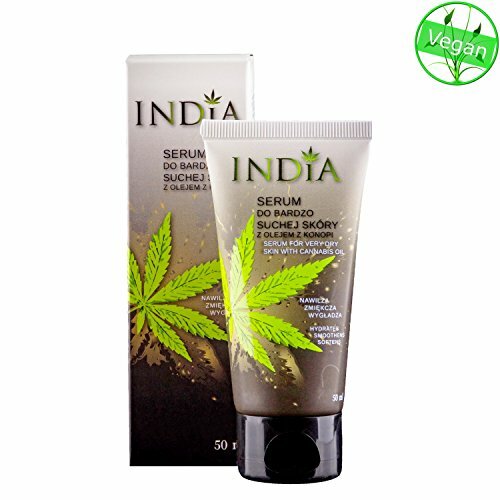 INDIA hemp oil serum has been specially developed to provide targeted and rapid regeneration of the dry skin of the face and hands. The properties of the ingredients guarantee the intensive moistening and care of the skin with all important nutrients. Additives enhance the effect of serum and stimulate the build-up of the epidermis and correct the unevenness of the skin. 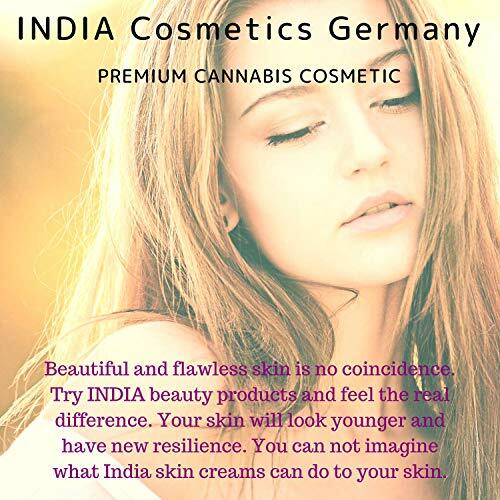 The products of our INDIA cosmetics line are characterized by an extremely mild formula enriched with hemp oil, which moisturizes intensively, soothes irritations and eliminates tension in the epidermis. Thanks to its light consistency, it absorbs quickly and leaves the skin soft and supple. Nutrients contained in it quickly reduce wrinkles, at the same time slowing down the aging process of the skin and, after only a few applications, bring about the first positive results. 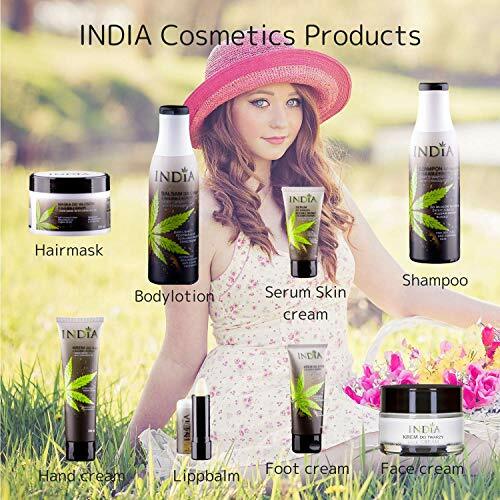 Products from the INDIA line are the only cosmetics on the market that combine hemp oil into holistic body care. The oil pressed from cannabis sativa (plant from Central Asia, hemp) has innovative applications in cosmetology. 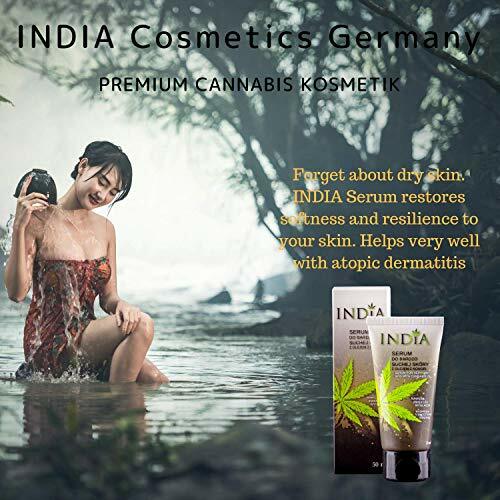 Numerous researches have shown that hemp has antioxidant properties, rich in omega 3, 6 and 9 fatty acids, which helps maintain moisture in dry skin and relieve irritation. Hemp oil is rich in vitamins, phospholipids, phytosterols, minerals, chlorophyll and has many other beneficial properties. The medicinal properties of this plant have been used in the new INDIA product line. The hemp oil-based product line for body and hair care includes: skin creams, serum for very dry skin for the face and hands, lip balm, body balm, hair shampoo, foot cream and hair conditioner. All our products are 100% vegan and made without animal testing. The miracle plant hemp guarantees the great value of sustainability.